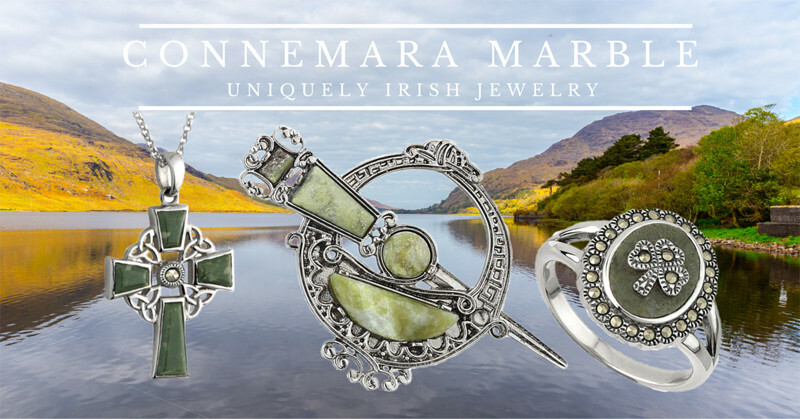 Connemara marble takes its name from the region in County Galway, Ireland. The distinctive green coloring has made it an Irish jewelry favorite for generations. Over 9000 years old, the unique patterns ensure that no two pieces will be the same. From Celtic Crosses, Necklaces, Pendants Bracelets & Claddagh rings, you will always find this makes a special Irish gift.